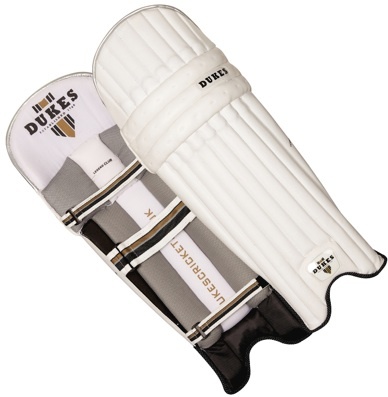 •The Legend Elite batting leg guards have a traditional look with modern design features and technology. •Traditional 7 bar face with extra wide high density foam side wings with flex grooves for perfect fit. •Centre 3 bars have cane rods to the front while the outer bars have cane behind flat HD foam. •Five piece shaped outer knee combines with a pre curved and angled top hat for a superb fit to leg. •2 inch ankle and calf straps, 1 inch top strap. •Centre strap with split double link to pad for comfort and durability. •Padded top hat with soft PU lining. •Comfort padded instep with mesh for improved airflow. •Three piece comfort inner shin bolster with premium PU centre panel and airflow mesh side panels. •Three piece inner knee bolster. •Padded outer panels with airflow mesh. •Available in right hand and left hand. 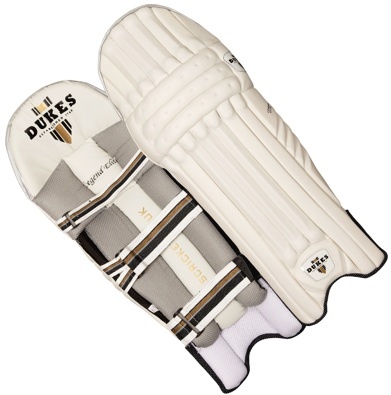 •Designed to be extremely lightweight with contemporary styling for the modern cricketer. •Lightweight high density foam construction with premium PU facing. •Unique flex groves allow the pad to mould to the shape of the leg. •9 piece outer knee bolster and 9 piece top hat for a close fit. •Padded top hat with durable cotton drill lining. •Three piece comfort inner shin bolster with airflow mesh side panels. •Three piece comfort inner knee bolster with airflow mesh side panels. •Lightweight HD foam protection with internal cane rod reinforcement. •Three piece comfort inner shin and knee bolsters with mesh panels. 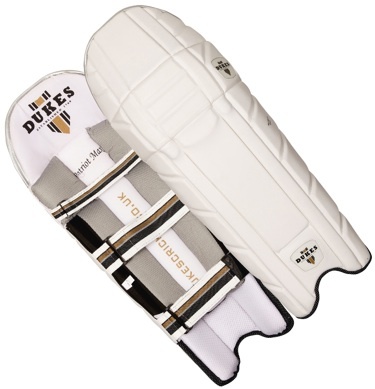 •The Duel Ultimate batting leg guards offer Premium Test Match quality protection. •Traditional 7 cane face with extra wide high density foam side wings with flex grooves for perfect fit. •Padded top hat with premium soft PU lining. 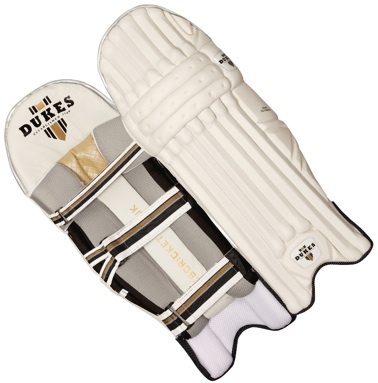 •Three piece inner knee bolster with central internal hard knee cap protection cup with premium quilted PU.